Whether you have called for mold remediation before, or you suspect there is mold in your house now, you should always be aware of the conditions in which mold might grow. These common causes, such as high humidity and water leaks, can be corrected with the help of your professional waterproofing company. Let’s look at some common causes of mold in your basement and house near Baltimore. When the humidity levels have risen outdoors, the levels are likely to rise inside your house as well. 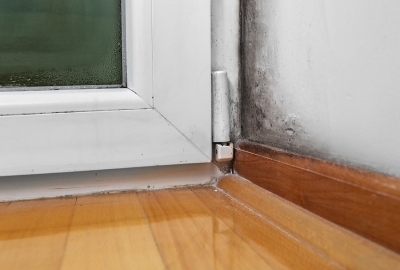 As the humidity rises, the dampness attracts mold and encourages it to grow inside and outside your house. If it has been rainier than usual, or the wet season is starting, then you need to keep an eye out for any signs of mold in or around your house. You may also notice mold growth toward the end of the snow season; as the weather heats up and the snow melts, there is a higher chance that mold will begin to grow due to the thawed water and warmer weather. If there is anything in your home that is leaking or might leak due to weakness, then have this corrected right away. 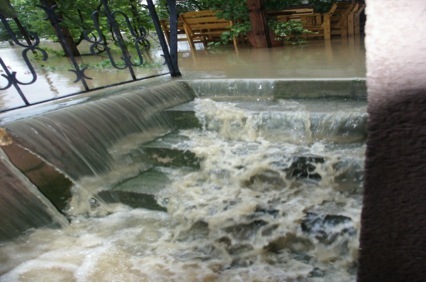 Leaking pipes can lead to a multitude of problems in your home, including foundation repair and mold remediation. Always check your plumbing fixtures throughout the house, especially those often-overlooked fixtures below your sinks and in your basement. Even a slow leak can cause significant problems—namely a slow growth of household mold—which can unknowingly cause your family harm. If you notice that your bathroom always feels moist, or your kitchen countertops take a long time to dry, then you may have a problem with poor ventilation. When your house has poor ventilation, you could be at risk for mold growth. 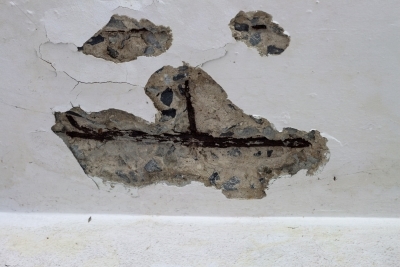 Mold may grow in the areas with noticeably poor ventilation, but this also may be a sign that your entire house should be tested for waterproofing issues.